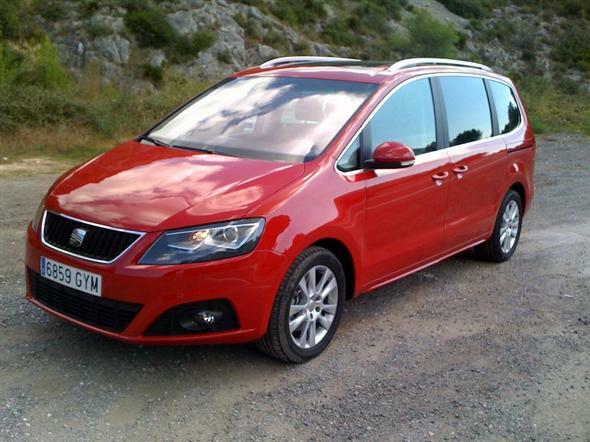 The Seat Alhambra is essentially the same car as the Volkswagen Sharan but with a different look and costing less money to buy. 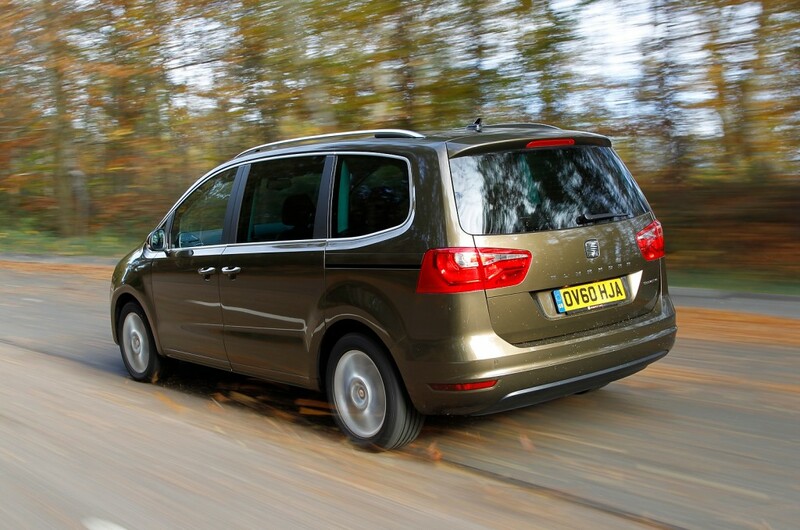 It is an immensely practical seven seater MPV with lots of interior space and good handling. 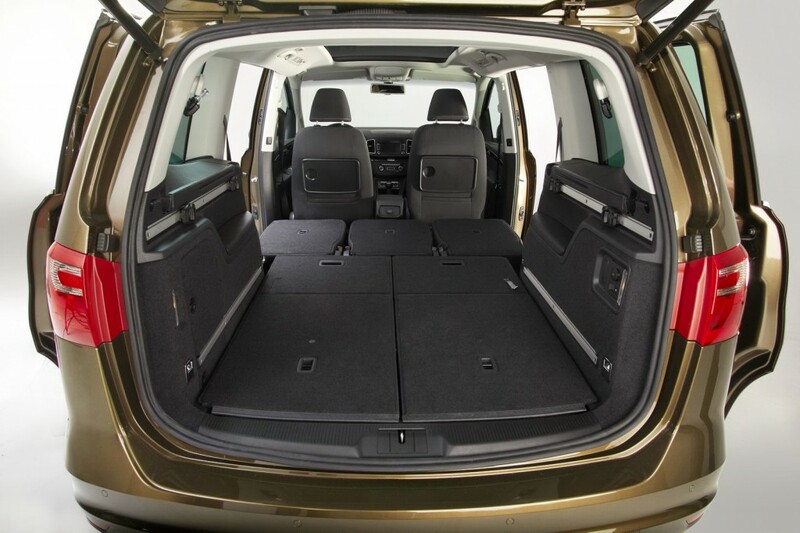 The Alhambra has oodles of space inside thanks to it being one of the widest MPVs on Britain’s roads. There is lots of space for carrying large items. When the boot seats are folded flat there is 1,167 litres of space. Fold down the middle row seats as well and you get a huge 2,297 litres. On some trim levels you can even fold down the front passenger seat to make carrying long objects possible. The seats are very flexible. On the middle row the seats are all full size individual seats that can slide forward to increase the boot space or backwards to give passengers even more leg room. The seats also recline so you can get comfortable on longer journeys. Getting into the boot seats is easy with the outer middle row seats tilting forward simply by pulling a lever. 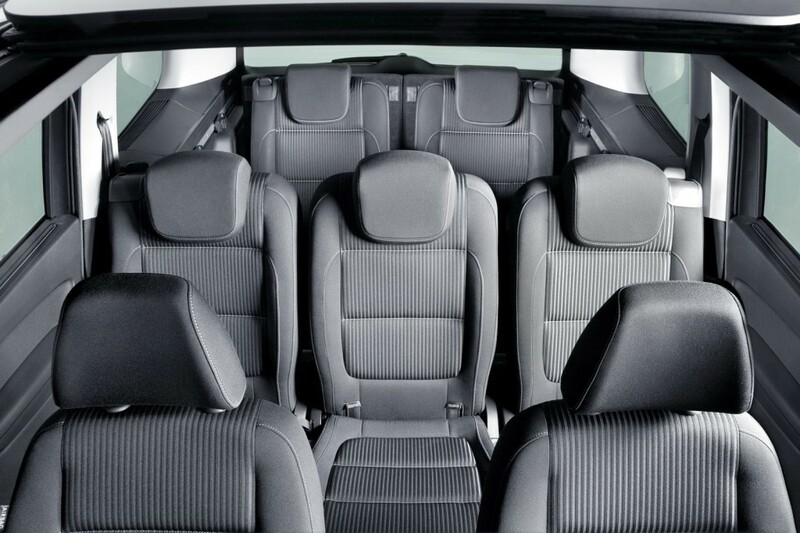 The Alhambra is one of the few seven seater cars which has enough room for Adults in the boot seats. And still there is space in the boot for a couple of decent sized suitcases. Access to the Alhambra is easy thanks to sliding rear doors which makes it a doddle getting the kids in and out when parked in narrow spaces. This is very helpful for a car of this size. You can also add electric sliding doors as an option. Lots of storage spaces in the cabin to store your water, Bob the Builder DVDs or travel games. The list of standard safety kit that comes with every Alhambra is impressive. There is stability control, a system that monitors tyre pressure and seven airbags. The airbags include one for the drivers knee that protects from damage from the steering wheel. And you can tell that Seat intend this car to be used as a full seven seater from the fact that the curtain airbags extend the full length of the car to give the same level of protection to passengers in the boot as every other passenger. There is no wonder then that the Alhambra received a five star rating in the Euro NCAP test. 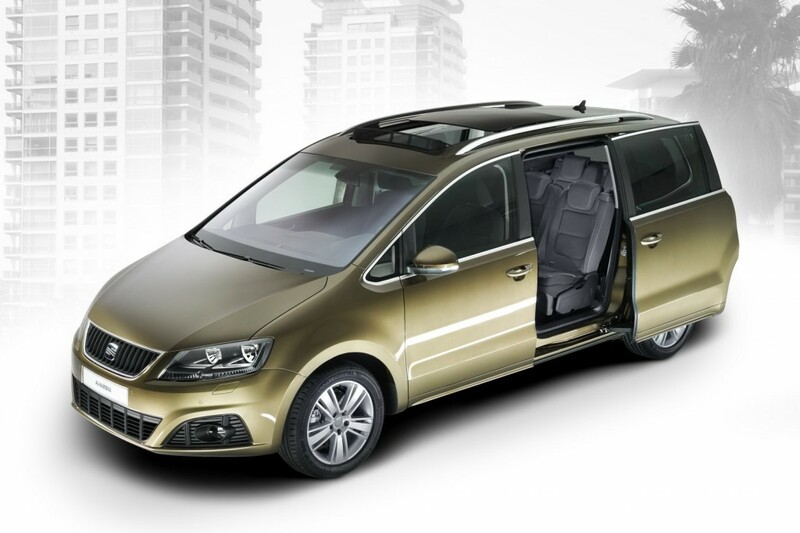 There is one petrol engine and three diesel engines to choose from when you configure your Seat Alhambra. There are also automatic gearbox options as well on some of these. The petrol engine is just 1.4 litres yet manages to output 150PS. This means it can transport the Alhambra to 60 mph in just 10.7 seconds get to a top speed of 122 mph and yet return 39.2 miles to the gallon combined which is impressive for a petrol engine in a seven seater car. You can get this engine twinned with an automatic gearbox if you want with very similar performance and only lose 2 miles to the gallon in fuel economy. However most buyers will opt for one of the diesel engines and here you have more choice as well as even better fuel economy. The diesel range starts off with the 2.0 TDI CR Ecomotive 115PS. This is a good all rounder with 0-60 mph in 12.6 seconds and a top speed of 114 mph. If you are looking for more performance you may want to go for the top of the range 2.0 TDI CR 170 which has a 0-60 time of 9.5 seconds and top speed of 129 mph. Very good for a car of this size. Sit in the drivers seat of the Seat Alhmabra and there is a definite influence of Volkswagen on the cabin design. Everything is well laid out and solid looking. The Spanish have added some flair to the traditional German design with some nice curves and chrome but overall everything is fairly understated and has a feeling of quality. The drivers seat is comfortable and supportive. And that is good because on the open road the Alhambra has a very sporty feel, thanks to the firm suspension and solid steering. It is surprising how well the Alhambra grips the road around corners for such a large MPV and there is virtually no body roll around corners. The Alhambra wins out in the comfort stakes thanks to three key areas. There is so much space in this seven seater MPV for all passengers from the front to the boot and all seats are supportive but firm. All the engines from the petrol to the diesel are quiet and the road noise does not really intrude into the cabin. Although the suspension is firm it seems to take on all the bumps in the road in it’s stride while keeping the car on track. This is a new car and it is a bit early to say how it will stand up over the test of time but everything bodes well. The engines come from Volkswagen and have excellent reliability and many of the interior materials are shared with Volkswagen and have the same quality. There is also the peace of mind offered by Seats three year / 60,000 mile warranty on all new Alhambras. Expect running costs to be good for a car of this size. The engines are very fuel efficient. Even the Petrol engines return 39 mpg. They do well for car tax as well. If you consider that even the top of the range diesel engine produces just 152 CO2 g/km and fits in road tax band G, currently costing £170 per year you will see that the other engines will be even cheaper to tax. 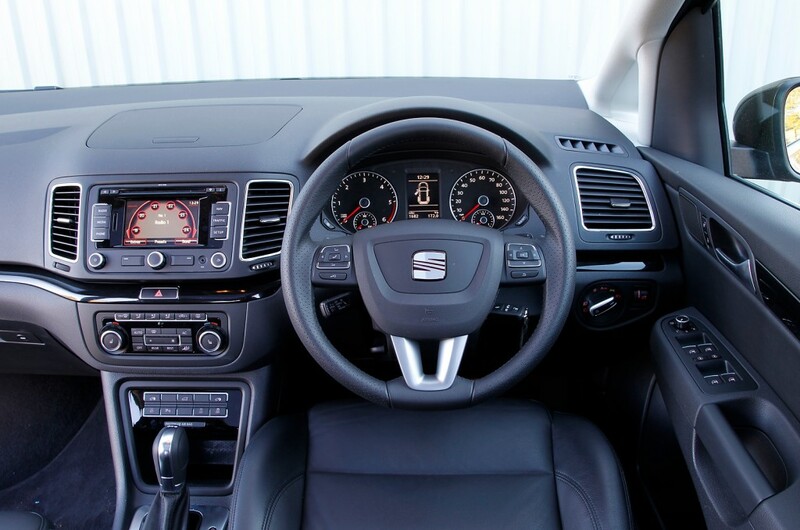 If you take advantage of Seat’s Finance offer you can also benefit from three years fixed price servicing. The initial purchase price is not the cheapest for a seven seater MPV but when you consider what you get for your money in terms of space and practicality it becomes a lot more attractive. And if you are comparing this car with others in it’s class such as the Volkswagen Sharan and the Ford Galaxy it has to be a contender for your money.